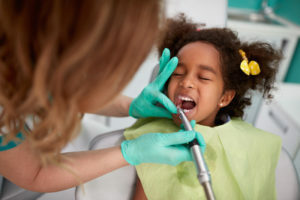 The Favorite Children’s Dentist in Tappan Is Revealed! Congratulations to Dr. Darren Tong for being nominated as “exceptional” and a “favorite” by New Jersey moms and dads who voted over the course of December 2016 to June 2017. Dr. Tong will be featured on the December issue of New Jersey Family, a prestigious local monthly magazine that’s shining a light on exceptional local leaders in medicine. The parents of the pediatric patients of Washington Dental Associates in Bergenfield, NJ and Smile More Dentistry in Tappan, NY took the time to write in and honor him with the nomination because they feel he is extraordinary and provided their children with exceptional care. We couldn’t have been happier that he received the distinction! Come Find Out What Sets Us Apart! With the success of Smile More Kidz in Tappan, NY and this nomination, Washington Dental Associates is proud to present Smile More Kidz Bergenfield, NJ. We invite you to contact us and schedule an appointment with your dentist in Tappan for superior care today! Comments Off on The Favorite Children’s Dentist in Tappan Is Revealed!